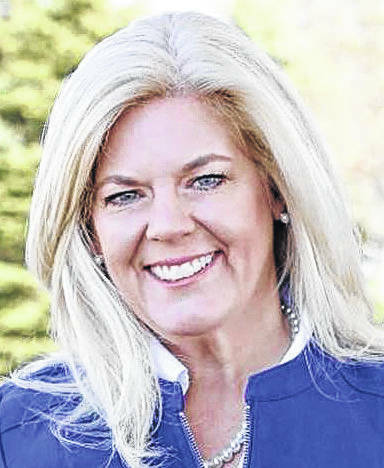 Liberty Township residents have petitioned the Delaware Municipal Court to increase the bonds held by trustees Melanie Leneghan and Michael Gemperline to $1 million each. The petition, signed by 24 township residents, was filed in the court by the Law Office of Gary Yashko, Powell, on Tuesday, Jan. 22, and according to the court’s docket, the matter “shall be” heard Monday, Jan. 28, at 11:30 a.m. in Courtroom B. “Now come the applicants, identified in the petition … respectfully ask this court to order Liberty Township Trustees Michael Gemperline and Melanie Leneghan to increase the bonds they hold as a condition of their office to an amount equal to one million dollars each,” states the court filing. “I’m not sure how I’ll deal with the people after this,” Leneghan said. The filing list several of the actions taken by the trustees, all of which were publicly opposed by their constituents. Specifically listed is Dr. Warren Yamarick’s filing in the United States District Court, Southern District of Ohio, Eastern Division on Jan. 18 seeking monetary damages against Leneghan for violating his First Amendment rights and for unlawfully retaliating against him. Yamarick, a township resident and current Liberty Township EMS medical director, was escorted from the trustees meeting on Jan. 7 after being denied an opportunity to speak at the public meeting. “At all times relevant to this action, Leneghan was acting under color of state law. Leneghan is being sued in this action in her individual and official capacities. 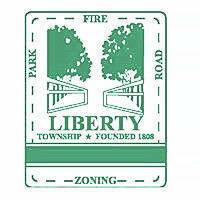 The policy Leneghan announced and enforced at the January 7 meeting – that citizens that ‘in litigation’ with the Liberty Township trustees are per se prohibited from speaking during the ‘Public Comment’ portion of trustee meetings – is unconstitutional,” Yamarick’s filing states. At that time, there was no litigation on the behalf Yamarick being pursued. 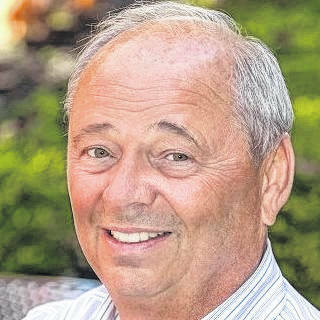 He had only requested a public hearing with the trustees to answer accusations disparaging his professional reputation as the township’s medical director brought against him by Leneghan. The residents’ filing also points to the two resolutions approved in the Jan. 7 trustees meeting appointing Leneghan as the sole trustee authorized to pursue a contract for a medical director as well as the liaison to Fire Chief Tom O’Brien and the fire department. The third member of the board, Trustee Shyra Eichhorn, was away on business when the resolutions were approved by Gemperline and Leneghan. “Dr. Yamarick’s term ends on January 31, 2019, … This could potentially result in litigation which would be damaging to the township and, more importantly, places the health, safety, and welfare of petitioners and all Liberty Township residents in danger,” Yamarick’s filing states. During the trustees’ Jan. 22 meeting, a contract was approved — by a 2-1 vote — to employ The Ohio State University Wexner Medical Center for medical director services at a yearly cost of $34,544. The measure was approved by Leneghan and Gemperline, while Eichhorn voted against approving the measure. According to Eichhorn, there was no request for proposals (RFP) nor a request for bids (RFB) posted as required by the township’s procurement and purchasing policy approved by trustees Aug. 5, 2015. The residents’ filing also points to the City of Powell’s cease and desist letter to the township for a “potential breach of the Cooperative Economic Development Agreement” between the two entities. According to the agreement, the township is to provide fire and EMS services to the city. The embroiled battle over replacing the township’s fire-based emergency medical services (EMS) with the Delaware County EMS began when Michael Frommer, Delaware County administrator, was invited by Leneghan to present the Fitch Report to the trustees on Oct. 1. The Fitch Report is a master draft plan commissioned by the Delaware County Board of Commissioners to look at ways of improving the county’s EMS. The plan is only a draft, which the commissioners have not yet adopted for the county. Yashko did not return The Gazette’s request for comments. This entry was tagged D. Anthony Botkin, Delaware County Municipal Court, Gary Yashko, Liberty Township, Melanie Leneghan, Michael Gemperline, Trustees. Bookmark the permalink.